Lazing in London : the King’s Road on a Sunday afternoon | ViVa! 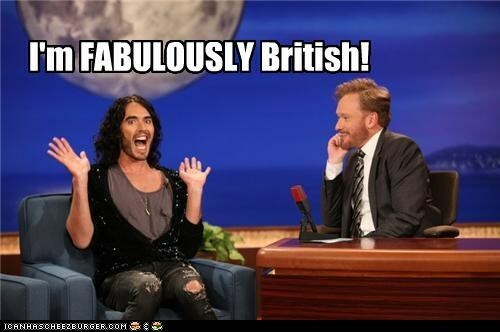 I have been browsing some shops on the fashionable King’s road, and have come across a clothes shop which sells nice quality street wear which they claim is ‘Fabulously British’. I am toying with the idea of parting with my hard earned cash in exchange for a rugby shirt. I decide to stop for a coffee at the restaurant next door, time to make up my mind. I am sitting on the outside terrace of one of the numerous Lebanese restaurants which animate this district. I immerse myself in the atmosphere of this side of town, which already hints of money and glamour. All sorts of expensive looking cars pass by, mostly BMs, Mercs, Astons and Audis, peppered with the odd upscale compact urban drivers, mostly ‘Coopers’ and ‘Evoques’. The odd London taxi passes by, sporting vibrant bright colours – a joy to see them sharing the road with the more conservative and traditional London black cab. The uniformity of these cars and the absence of any other less ostentatious ones is deceiving. It makes one believe that this is today’s level of comfort everywhere, were it not for the distorted skyline caused by some 60’s council housing high rise a few blocks away. The people I see passing by are as colourful and varied as the cars they own. A proud father is carrying his beaming daughter, no older than three years, on his shoulders. A little girl whizzes past me on her scooter, under the watchful eye of her grandma. A gay couple, whom I recognise as the same couple who were arguing on the bus stop at New King’s road, are now holding hands. An elderly woman, who must have lived here all her life, is lost in conversation with her husband of always. A very distinguished lady, in her 60’s, wearing stilettoes, in a little black dress is embracing her Richard Branson lookalike. People are carrying shopping bags. I can recognise the Waitrose bags, bearing the fruit and vegetable prints, the colour stripes of Paul Smith, and the smart and sober black bags of Hugo Boss. A man, brisk in his movement, pulls over with his bike, stops to see the menu, hesitates for two seconds, and decides to move on, over to the next Lebanese across the road. Now, as my eyes a gently accustomed to this diverse fauna of people on a busy Sunday afternoon on the King’s road, yet another typology come by. Two women in their mid-fifties, both visibly overweight and looking rather bored and complacent come out of the restaurant, accompanied by two fair-haired boys still in their pre-teens. I could not help but observe the boys’ clothing which gave away their privileged family background. The elder one, perhaps 8 years old, was wearing a sweat shirt with wide, vertical baby blue and white stripes, like the one I saw in the clothes shop a few steps away selling stuff which, they claimed, was ‘fabulously British’. The younger one, who must have hardly been five, was wearing a light V-neck sweater, sporting the recognisable logo of Polo Ralph Lauren on it. The two women and their boys crossed the road briskly, as they saw a wide an expansive silver grey Mercedes pull over, and a distinguished gentleman, with matching grey hair and grey moustache coming out to greet the boys and get them inside the car as quickly as possible. Now, another two young men sitting beside me are getting nervous waiting until their drinks order is taken. One of them is rather rude and cocky with the waiter. He’s gone up, signalling the waiter twice already within the space of fifty seconds. Eventually the waiter rushes out and takes the order, for fear of losing business to the restaurant close by. The cocky one is also wearing a striped shirt, like the one I have seen in the clothes shop. Maybe I should not buy it after all. It may look fabulously British, who wants to be cocky?